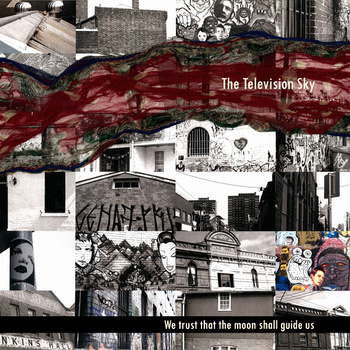 The Television Sky is an original instrumental rock band formed in 2009 in Melbourne. Their music is a smouldering fusion of classical and post-rock influences. Their debut record We Trust That The Moon Shall Guide Us is a stark exploration of their formativeworks and will be on Sunday 6 November 2011. We Trust That The Moon Shall Guide Us was produced by The Television Sky and local sound engineer Peter Sergeev. The Television Sky really upkeep the high standards that we have come to expect of post-rock bands from Australia. This is a real solid album clocking in at just under 35 minutes and has 6 tracks. Ignore this release at your peril. This entry was posted on November 15, 2011, 10:17 pm and is filed under Playlists. You can follow any responses to this entry through RSS 2.0. You can leave a response, or trackback from your own site.